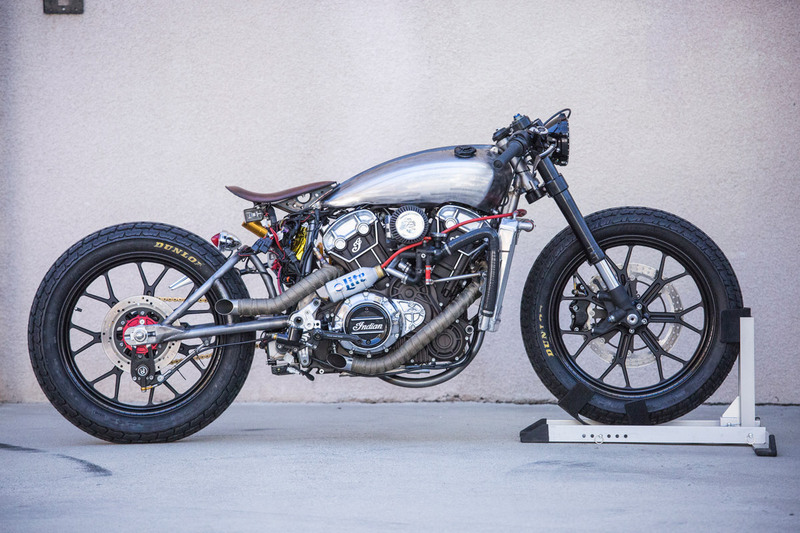 The bike was first shown in its raw form last year and now completed, it was flown over from California for a debut at the Wheels & Waves festival held in Biarritz, France. “The Scout is a pretty cool machine stock,” Roland enthuses. “Polaris did a damn good job of putting together a production Scout with a great powerplant. And in its stock form it’s got a lot to work with from a customisation stand point. 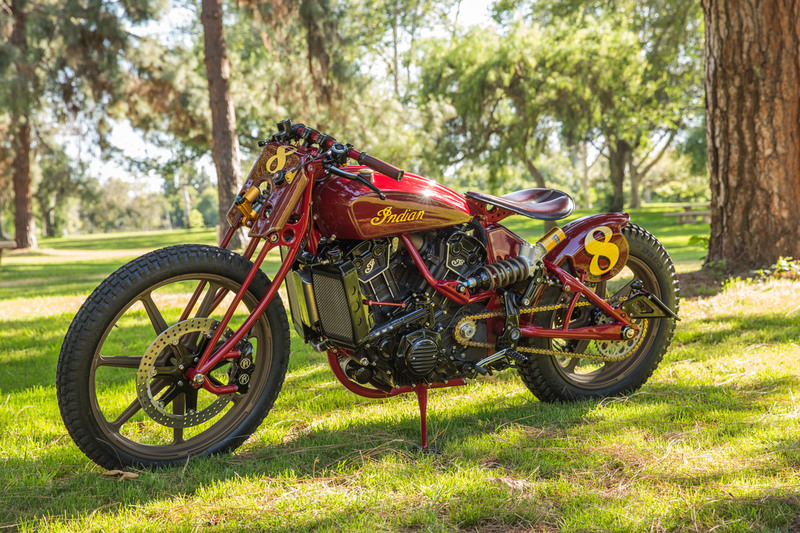 Roland says that as soon as the Scout was released at Sturgis Rally in 2014, he and his team knew they wanted to use the bike’s water-cooled V-twin engine in something customised. 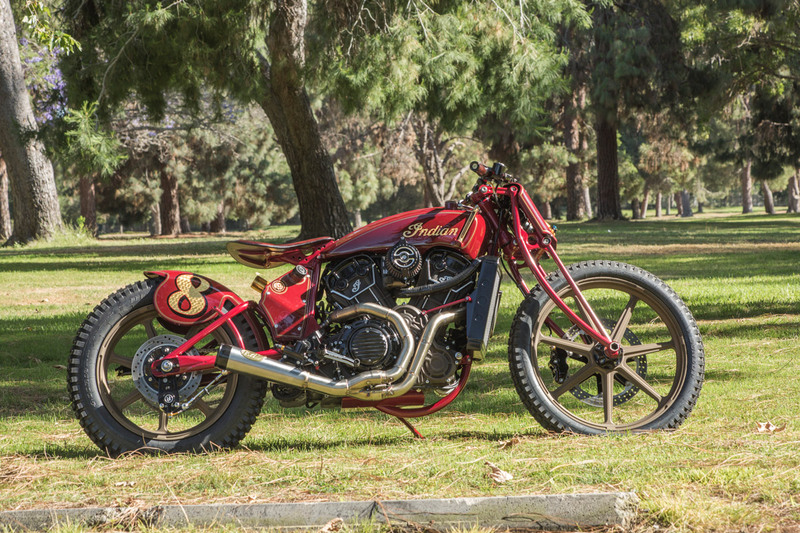 This desire was shared by one of Roland’s customers – known only as Thor – who had previously commissioned RSD’s Track Chief custom and wanted Roland to make him something out of an Indian Scout. Initially Roland built a raw, unpainted version of the bike for Thor to ride to the Burning Man event in 2015. RSD has since been working on the bike to create something that draws a heavy inspiration from the past while also increasing the level of performance. They built a complete ChroMoly girder fork from scratch that dominates the look of the front of the bike. New radiators were built and the cooling system was tidied up. A faux oil bag was made to house all of the electronics and a custom stainless exhaust using RSD’s in-house new “Track” muffler components was put together. The shock on the rear is an Ohlins TTX normally used on mountain bikes. 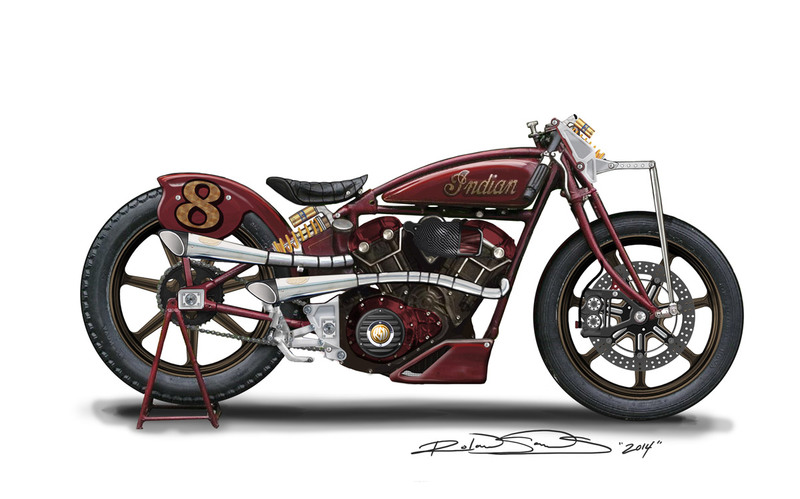 The frame, fork and swingarm were all powdercoated in a beautiful vintage Indian red colour and Airtrix knocked out an amazing matching paint job for the sheet metal with hand-turned gold leaf accents.